This should be a no-brainer, but as I edit I find so many smart, well-educated people using words incorrectly, I begin to wonder what’s going on. Then I turn on the TV. I listen to the Eyewitless News anchors who can’t pronounce the words they’re given to read (“tempachure,” says the weather guy, “sheriff’s depity,” says the anchor). I listen to the people being interviewed saying that an actor is “awesome.” I listen to the commercials. We’ve all seen this one: “I gave [the insurance company] a call,” the actor says, “and I literally fell out of my chair.” Literally? The quote was so low she fainted? It was so high she started laughing so hard she fell off her chair? Here’s another example, which I came to in a textbook I once edited. The author, a professor of psychology, wrote that in class one night he was “literally shooting questions at his students.” I couldn’t help but inquire if the classroom was filled with blood and body parts. And literate is how we do not sound if we use “literally” metaphorically or for emphasis or as an intensive. One of my other favorite examples is “He was laughing so hard his sides literally burst.” Eeeuww! Did they rush him to the ER? Are you feeling tempted to use “literally”? Resist the temptation. Perhaps I am, alas, fighting a losing battle. Yes, our language is changing. Yes, it’s useful to keep up with the times. But, yes, it’s also important to respect our language and use the words in it correctly and precisely. Especially when we want the words we write to be understood and taken seriously. WRITE. Duh. Don’t roll your eyes at me. I’m serious. You’re a writer, aren’t you? You’re good at writing. You have writing advice for others. So when was the last time you wrote an article about character development? What about a column on the topic of climax and resolution? You know about this stuff. You know the ins and outs—the creative and structural techniques that work and don’t. So why not share those techniques with your knowledge-thirsty audience? Write an article. Do some homework to see where it would fit. (Or vice versa, really. Find a website you like and write something catered to that website.) Whatever chicken-or-the-egg technique you use, WRITE. And then, submit your article for inclusion on an industry blog. Submit it to magazines. Submit it to writing newsletters. Anywhere your article might fit, submit it. It’s free advertising! (And hey, some places even PAY for this sort of thing!) This builds your reputation as Author Extraordinaire. It spreads word of your book, because of course, you will include a bio, including all your website/ISBN info, RIGHT?! It will make a name for you, which will make a name for your book. It’s a free and easy way to develop a fan following, and all you had to do was be a writer and WRITE! For more information on Sara Dobie and her promotion tips, please visit her blog. I know we've already touched on this topic, but I felt a need to say a little more... as I mentioned previously, if budget is a concern, it is possible to do your own interior layout. But please, please, please don't try to re-invent the wheel! I see so many self-published books where the author/publisher thought they'd be different and tried to create their own style. There is a reason books are right justified. I recently had a book that was left justified, the same as you'd see in a letter. It looked TERRIBLE. It was hard on the eyes, and it sure didn't make me want to read it. It was well-written, the plot was good, but it would have been a much more enjoyable book if it had been right justified. It sounds like such a silly, small, detail, but the incorrect layout gave the book a very amateurish look. Add to that the enormous number of typos and I'm afraid that this particular book is destined to have lackluster sales. You put so much time and effort into writing your book - don't ignore the final touches that will make a customer want to buy your book! 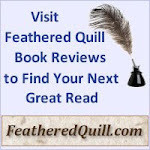 Barbara Ardinger is writing a weekly column for the Feathered Quill Book Reviews blog. We thought you'd like to meet her... and be sure to check out her column here every Wednesday! Barbara Ardinger, Ph.D. (www.barbaraardinger.com), is a published author and freelance editor. To date, she has edited more than 200 books, most of them for authors going to small, vanity, or on-demand presses. The 200 projects are both fiction and nonfiction and also include screenplays, children's books, academic discourse (textbooks and doctoral and master's theses), web site text, and some poetry. Fiction edited includes romance, action-adventure, science fiction, western, mystery, historical, speculative, and horror novels. Nonfiction edited includes philosophy (mostly mainstream metaphysics and New Age), Calvinist theology, holistic health, science and technology, political tracts, business topics, history, and memoirs and biography. The authors live around the U.S. and around the world, and for many of them, English is their second language. Barbara has also taught university classes in writing and public speaking and has worked as a technical editor (four different industries). Today we're sitting down to talk with Charles Shirriff, author of Spirits of a Feather, Souls of a Feather, and It’s Not Where You’re Going-It’s How You Get There: Autobiographical Stories . FQ: Are Spirits of a Feather and Souls of a Feather autobiographical? However, he was not ready to share enough of his early years in an abusive, dysfunctional family for me to write a proper biography. Not willing to waste the wealth of experiences he had provided for me, I decided to fictionalize his story enough that I could still write his actual biography at a later date. In writing these two novels, I incorporated my young friend into two of the characters. Jay represents most of my friend’s actual personality (except for his being gay) while Steve, being gay, allowed me to make use of my experiences and understandings of gay people and of the gay community. FQ: Why did you pick Winnipeg as a location? My friend lived in Winnipeg when I met him and I lived near Winnipeg. The novels are officially works of fiction, and could have been based in any large city. I chose to make the novels as “fact-based” or as a “fictionalized biography.” Hence, the environment needed to be true to the story. FQ: Do you have Native American blood? No. But I have taught many native (or “First Nations” people as we now refer to them in Canada) and have been involved with them in many and varied situations. I have always been interested in people who are different from me. FQ: Why did you select the eagle as a totem animal for Jay? I looked at the various totems and the eagle was most appropriate for my friend, and hence for Jay in the novels. The majestic eagle is strength and vision. The eagle symbolizes power and prestige. It protects the spirit and the body, representing health and wholeness of being. It signifies the person who rises above the petty details of daily life to take in the big picture. This seemed like a good fit. The moon watches over us and is the protector and guardian of Earth. Moon has the ability to change our moods and might have been appropriate. I did consider this totem, but it was too hard to personalize and incorporate it into the story line. The others were just not appropriate to Jay’s character: Whale is the traveler's friend, Hummingbird is the healer; Bear is strength and health, Beaver is community and sharing, Frog is success coupled with humility, Raven is wisdom and understanding, Wolf is the teacher and nurturer, Sun is faith and inclusion. None of these was a good fit. Besides, the Eagle is much more interesting (plot-wise) than the Frog, for example. FQ: I loved Arrow the dog. Why did you decide to include him in the story? I didn’t decide to include him. He wrote himself into the story. He just appeared when I was describing Jay knocking on the native shaman’s room – he growled from within the room, and when the door opened - there he was. I have found that in writing, I am usually not in charge of the words as I type. I set up scenes in my head, but then they tend to write themselves as I type - with or without my approval. For instance, Phil was supposed to be a “walk on” character as a foil for developing Jay’s character during the bus trip. He was supposed to get off the bus in Brandon and then disappear forever. I was surprised when I found he was getting back on the bus to complete the trip. So I decided to have Jay walk away and leave Phil in the bus station. I had no idea that Phil would take Jay home with him, let alone become a major character. FQ: What is the basis for your interest in these different cultures? My interest in cultures/religions was fostered through the people I met in my personal life and in my educational/counselling work. I did extensive research to fill in details concerning the various cultures and to develop and understand them, but I always worked within my personal knowledge of typical individuals. I had a person in the head office of the Bahá'í in Toronto read relevant sections of my draft to be sure they accurately reflected the Bahá'í philosophy. My chapters on Hutterian life were rewritten and corrected extensively by teachers at the colony where I was working at the time when I was writing. FQ: Are you working on anything now? It will probably be a book of humorous short stories or “essays” based on illogical (or silly) rules, ideas, signs, conventions, etc. that are accepted as normal or logical in our North American society. I will probably use a format of short stories or “essays” interspersed with very short vignettes (similar to the format of my recently published autobiography,It’s Not Where You’re Going – It’s How You get There). The working title for my next book is, Life Is Not A Gay Bar - don’t ask why. It just presented itself to me one day. Know your target audience. The world is too big to throw news and media tips willy-nilly. Therefore, do your homework. Case in point: Sylvan Dell Publishing just dove head-first into the social media terrain, with no map and no GPS unit. We’ve been having fun, but we’ve also realized that in most cases, it’s the writers who start following us. It’s the writers who want US to know THEM through OUR social media, because we’re a publishing house, and all aspiring writers really just wanna be buddies with a publishing house. So who are we really going after with this social media campaign? Teachers. Parents. Media specialists, and that is who we’re catering to. We’re going after the blogs that teachers read. We’re Tweeting about education. We’re learning—through trial and error—who our friends are, and we need their support. You are in the same boat, no matter who you are or what you do. You need to know your target audience, because the more targeted your audience, the more effective they will be when you need their help the most. So do your homework. Figure out who your friends are, and work together, lifting each other to the pinnacle of publishing success. In a silver lining, the DoJ recognized the potential value of a deal to facilitate book digitization, and officials urged the settlement parties to head back to the negotiating table. "A properly structured settlement agreement in this case offers the potential for important societal benefits," reads the DoJ statement. "The United States does not want the opportunity or momentum to be lost." In a brief statement, Google, the AAP and the Authors Guild, said they will address the concerns of the DoJ. “We are considering the points raised by the Department and look forward to addressing them as the court proceedings continue,” the statement read. The DoJ's opposition makes it increasingly likely that the October 7 fairness hearing, or at least its outcome, will be delayed. While the DoJ was upbeat about the settlement's potential, suggesting that the parties address DoJ concerns and make the settlement viable, the issues outlined in its brief nevertheless strike deeply at the heart of the deal, and it remains to be seen how quickly these thorny issues, the subject of years of tense negotations, can be resolved, if they can be at all. Without modifications, the DoJ indicated there was "a significant potential" that the Department would conclude that the settlement "violates the Sherman Act." Reaction: In a statement, The Open Book Alliance, a group opposing the deal, said it was pleased with the DoJ's conclusions. "Despite Google's vigorous efforts to convince them otherwise, the Department of Justice recognizes that there are significant problems with terms of the proposed settlement," read a statement. "Making books searchable, readable and downloadable promises to unlock huge amounts of our collective cultural knowledge for a broader audience than was ever possible. But, as we've noted, this settlement is the wrong way to go about making this promise a reality." n a terse statement, officials at the Federation of European Publishers, a trade group representing 26 national book publishers associations, demanded they be involved in the ongoing negotiations to fix the deal. "FEP has contacted the parties seeking an early seat at the table throughout ongoing negotiations," reads an FEP statement. "It is not acceptable that [European publishers] learn of progress through the press, and not consistent with the principles of natural justice that they be excluded from discussions." Many review sites offer author interviews as a part of their promotional services. If you get the chance to do an interview, take it! Look at it as an additional chance to promote your book(s). There are two types of author interviews, written and spoken. This week we'll look at written interviews. Next week we'll explore interviews via radio (internet or traditional). For written interviews, always remember, sell yourself! This is a chance for the reader to connect with the author. What makes the author tick? Why did he/she write the book? Where did his/her ideas come from? Readers want to know! You need to tell them! At Feathered Quill, we do our interviews via email - we send the author a group of questions and once he/she returns the answers to us, we post it on both our site and here on our blog. Our number one piece of advice is to be sure to check what you write! Is it grammatically correct? What about typos? Typically, if we find an obvious typo, we'll fix it but we can’t change the author’s words so be careful. We've received interviews with incomplete sentences, email "speak" (IMO, etc. ), and other errors that make the author look less than literate. Proof your answers, read them again, then wait a day before sending them along, and read once more before sending to the review site. For many people, printing out the text and proofing it (rather than on the computer screen), allows them to catch errors. Does it make you sound like a professional? If so, then send it along and get it posted. Then link to it from your website. Use it as a promotional tool as you would a review. Don't let it languish on somebody else's site. In an order posted Wednesday, federal judge Denny Chin said the fairness hearing for the Google Book Search Settlement scheduled for October 7 will go forward, and acknowledged receipt of more than 400 written filings. In the order, Chin gave the parties in the settlement until October 2 to respond in writing to the filings, and laid out the procedures that will govern the hearing. Those wishing to speak at the hearing have until September 21 to request time via e-mail, and will be notified by September 25 whether they will be permitted to address the court. In the order, Chin also said the court would review all the written filings in the case. One major filing, however, still looms—Chin had previously given the Department of Justice until September 18 to file its written comments with the court.Bloomberg, meanwhile, reported that Google, publishers and authors are in talks with the Justice Department on ways to address any concerns the department may have about the deal. As expected, a majority of the written filings are in opposition to the deal. However, a review reveals a wellspring of strong support for the deal, from organizations representing authors and the tech industry, to the disabled, such as the National Federation of the Blind, as well as a host of major universities and libraries, such the University of Michigan, Stanford University, the Cornell University Library and the University of Virginia. Poiltics? In addition to a heavy reading load for the court, the deal took another twist last week, this one political. At a September 10 hearing before the competition subcommittee of the House Judiciary Committee U.S. Register of Copyrights Marybeth Peters criticized the deal, telling lawmakers it was “fundamentally at odds with the law,” and that it usurped a role occupied solely by Congress. Association of American Publishers’ Allan Adler told PW he politely disagreed with Peters’ assessment and said publishers would respond to Peters’ more directly in their forthcoming brief to the court.It remains to be seen, however, what if any interest beyoned general oversight Congress has in looking at the deal at this late stage. Rep. Zoe Lofgren, a Democrat who represents Silicon Valley, suggested that Congress should stay away. “At this point, we don’t have a role to play,” she said, adding that the settlement was “the private sector achieving what we failed to achieve” in terms of legislation. Rep. Hank Johnson, a Democrat from Georgia, however, suggested that the settlement was a “classic case of legislating from the bench.” Adler said he believes it is unlikely the hearing will result in any action, and that all parties will have to look to the court for a determination. Whether the court looks to the Copyright Office, meanwhile is another matter. On the positive side for the settlement proponents, the hearing offered an opportunity to make their case for the deal: in essence, that it would indisputably offer more access to more books than ever before in history, and that the massive public good of the deal far outweighed the individual greivances of rightsholders. Moving up - In yet another twist last week, New York Senator Charles Schumer confirmed that Judge Chin will be nominated to the Second Circuit Court of Appeals by President Obama. That news kicked off speculation in some circles that Chin might eventually recuse himself, and yield the settlement decision to a third judge in less than a year. Chin inherited the settlement after Judge John Sprizzo passed away in December 2008. Chin’s order this week, however, would seem to silence those rumors. Nevertheless, despite Chin's insistence that the hearing will proceed, a delay is not out of the question, especially if the DoJ decides to intervene, or indicates to the court that it wishes to delve further into the settlement. This goes for big publishing houses, as well as self-published authors. For me, it’s review copy time. We just received bulk shipments of our final fall release (Baby Owl’s Rescue), and I’ve sent out over a hundred review copies in the past three days. As wonderful and exciting as review copy submission is, it’s more than putting a book in an envelope and taping a label on the front. It’s about prep work and follow up. When you’re submitting review copies, you first prepare. You email your reviewers to say “HEY! Don’t forget about me!” and ask if they have an updated address or anything else that might affect your mailing. Then, once you’ve mailed the book, you send them an email that says, “HEY! The book is coming! Can’t wait to read your review!” Then, there’s the follow up. About a month after you’ve sent the review copy, you need to email your reviewers again and say, “HEY! Did you receive my book? Whatdya think?” I don’t want you to harp on your reviewers or stalk them. I do want you to keep them informed. The more informed they are, the more familiar they’ll be with you and the more likely it’ll be that they will write a positive review for your new title. Tip of the week: Don’t get an ear infection, because you will never get it to go away. (Sigh.) Okay, seriously, let’s talk Twitter. I’m a baby Twitter user. I just started to master this 140-character power tool a month ago. However, there’s one thing I’ve learned, and if you want to become a Twitter guru, you should know about it. The first thing you need to do when you sign up is find your local media. Sounds obvious, but we forget. In the publishing world, we daydream about CNN, Oprah, and Publishers Weekly. We forget about our local newspapers, TV stations, and radio announcers. And yet, these are the people who build your fan base. You have to start somewhere; I suggest you start local. So as soon as you get into the Tweets, start following your local media. Often, they will return the favor. And then, if you’re interesting and clever enough (and of course, you are), they’ll see how interesting and clever you are, and they’ll set up an interview. Case in point: within three weeks of being on Twitter, our company co-founder was fielding a phone call from our city paper. This is the city paper that seemingly had no idea we existed. And yet, thanks to Twitter, they heard about the good stuff we do in the community and beyond, and we had a story in the newspaper four days later. Tweet on. Your manuscript has just gone through the editing process and now it is ready for the next stage in pre-production: interior layout. There are three ways you can go with your layout. Hire a professional who uses a program such as InDesign to create a finished, professional look. If you know InDesign or are a quick learner of somewhat complicated design programs, do it yourself. Again, do it yourself, but using Word or WordPerfect. Hiring a professional is the best way to go as the finished product will have a great look, with headers, footers (if needed), fancy chapter headings (if desired), proper line spacing, hyphenation, and many other text styles that accompany books from the big publishers. However, a professional can be expensive and many self-publishers can't afford one. What should you do? Unless you're very comfortable with InDesign (or other programs used for book layout), it can be a daunting task. Many self-publishers, therefore, decide to use Word or WordPerfect. They work hard to create a nice look, save the manuscript as a pdf file and send it off to the printer. It can work, and the majority of customers won't notice the difference, although any book professional (and that includes book store buyers and reviewers) can pick out these books instantly. Use italics for a large portion of your text. We recently had a book in which the main character wrote a significant amount of text in his diary. Those entries were all in a tiny, italicized font. It was impossible to read. If doing the layout yourself, go to a book store and study other books in your genre. Note what they do. Don't try to be so different/unique that you wind up ruining your book. There's a reason those books are fairly standardized - it's easier on the eyes. 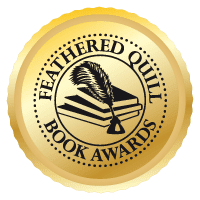 Feathered Quill Book Reviews is pleased to announce that we have won the 2009 Writers Choice Award sponsored by Writer Watchdog. 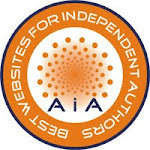 This award is given to those organizations that receive the most positive comments/votes from authors/publishers/publicists who have used their services. We've very excited and proud of being selected for this honor. The book for our monthly giveaway contest this month is Shadow: The Curious Morgan Horse by Ellen F. Feld. Read the review here. If you'd like to try your luck at winning this book, simply fill out the email form on our contest page. Good luck! 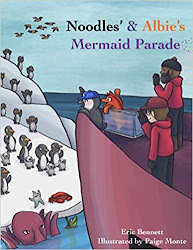 "In addition to having earned a Ph.D. in English, I have worked, off and on, as a freelance editor and authors' co-conspirator for 20-odd years. Translating "engineerese" into "gooder English," I have taken engineers' user-hostile rough draft and turned it into user-friendly manuals and proposals on subjects like "special nuclear material" (plutonium) containment, computer operating systems, and incomprehensible new inventions. As a published author, I've also been on the other side of the editing process. My own books have been edited. (Yikes!) As a book reviewer and magazine columnist, I've also had my work edited by other professionals. I also know how skillful editing helps make good ideas clearer and more accessible." Barbara will be relating tales of what to do/not do with your book manuscript by relating stories of what she's had to deal with during her freelance career. We're excited to have Barbara join Feathered Quill's blog and hope you enjoy her posts. Learn more about Barbara at: Barbara Ardinger.com.